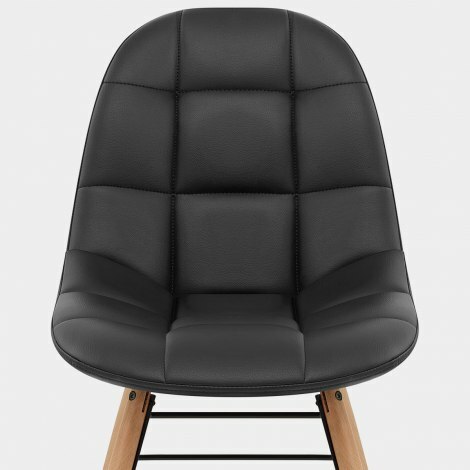 The Tate Chair Black is a real style statement, perfect for dining tables, desks, and more. Combining retro influences with modern practicalities, the Tate is a fabulously versatile model that will thrive in a wide variety of spaces around the home. 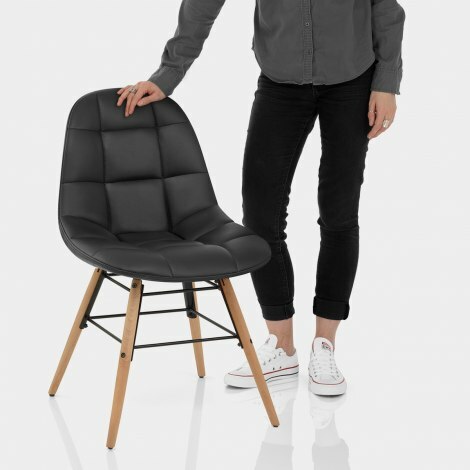 Upholstered in black faux leather, panelled stitch detail contributes to the chic modern vibe while high-density foam padding adds a comfortable cosy feel. Four tapering wooden legs help to provide stability, and a light oak finish adds warmth to the dark seat. Black satin metal bracing bars bring the frame together, while protective floor plugs complete the Tate with a mix of subtlety and efficiency. 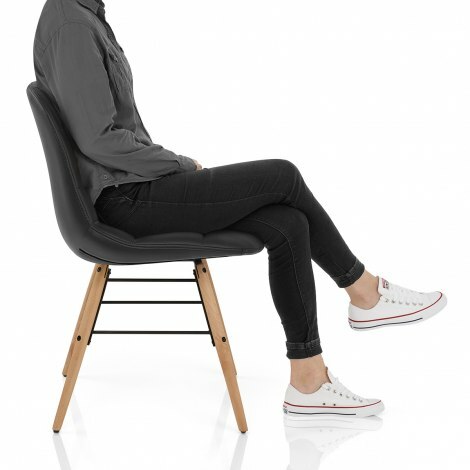 "Very comfortable, and a good height"
We love our chairs very comfortable, and a good height.